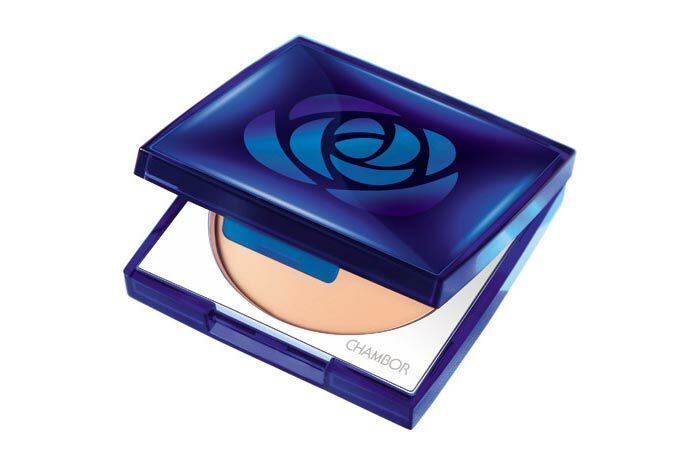 Chambor is a cosmetics brand from Switzerland that launched its first product in the Indian market in 1993. They believe “Every woman is inherently beautiful & make up will just enhance their natural beauty”. Premium, exclusive make up range. This has a nice floral packaging, and the pencil is very sleek. 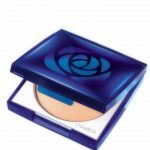 It has good pigmentation and does not smudge for 8-10 hours. 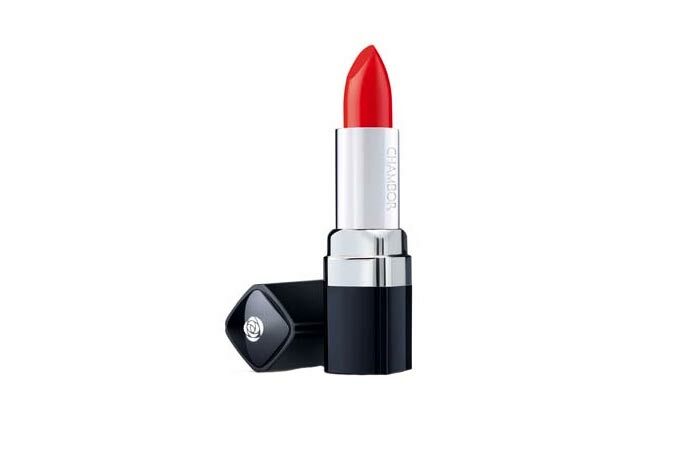 This Chambor lipstick gives sheer luminosity and is very light on the lips. It is available in 18 classic shades that come in a dark, navy blue elegant packaging. The texture is very soft and glides well on the lips, making it easy to apply. They are much pigmented and give a matte but creamy finish, leaving behind moisturized lips. On application it won’t leave your lips feeling heavy. 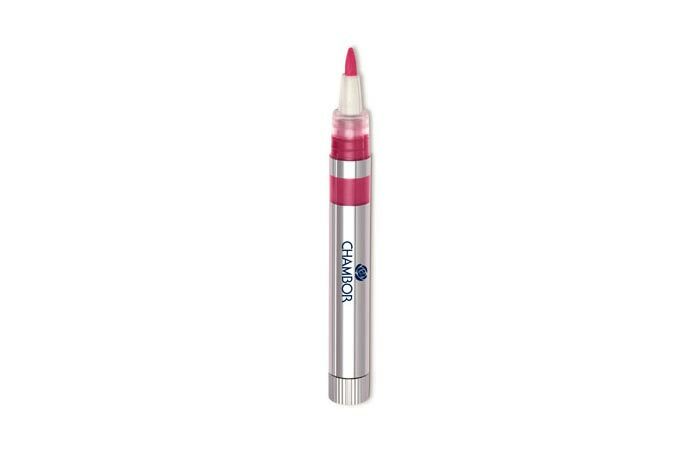 It has a staying power of 4 hours with no bleeding and provides a smooth, healthy, glossy appearance to the lips. This is a long-lasting, waterproof and no-transfer eye pencil. This highlights and shapes your eyes to give you the desired look and dramatic fluttering eyes. 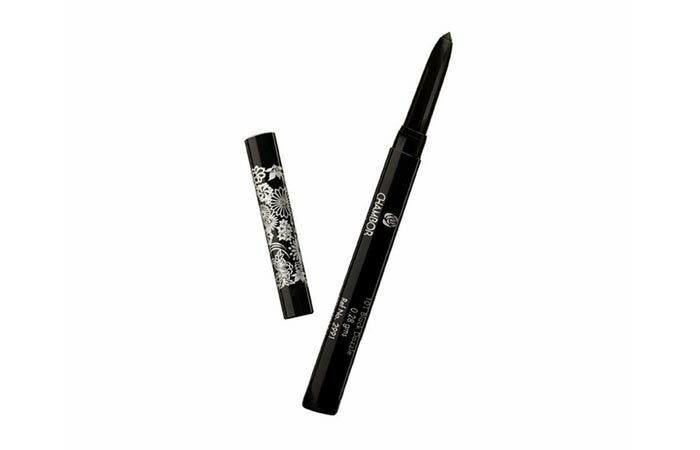 It can be used as both eyeliner and eye shadow with a matte finish. This is water proof, smudge proof, non comedogenic, both dermatologist and ophthalmologist tested. It is vitamin-enriched. It includes Vitamins – E & A, comes with good pigmentation and staying power. You can use it on your waterline and the upper lids for 5-6 hours with application being really easy. These are available in five different colors. This lipstick contains Jojoba Oil, Shea Butter, Vitamin A and Vitamin E, the formula that nourishes conditions & moisturizes your lips. This glides really well for easy and comfortable application. It comes in a classic attractive metallic packaging with a creamy, solid bullet. 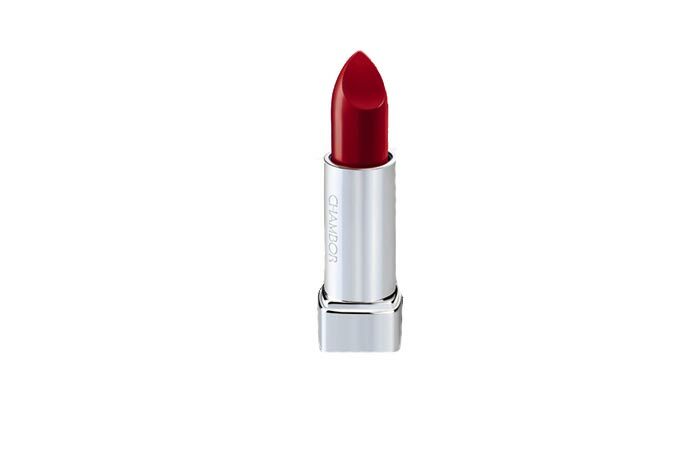 It has a good stay-on formula and feels feather light on the lips. This also gives very good coverage and looks matte, covering the pigmentation of the lips. 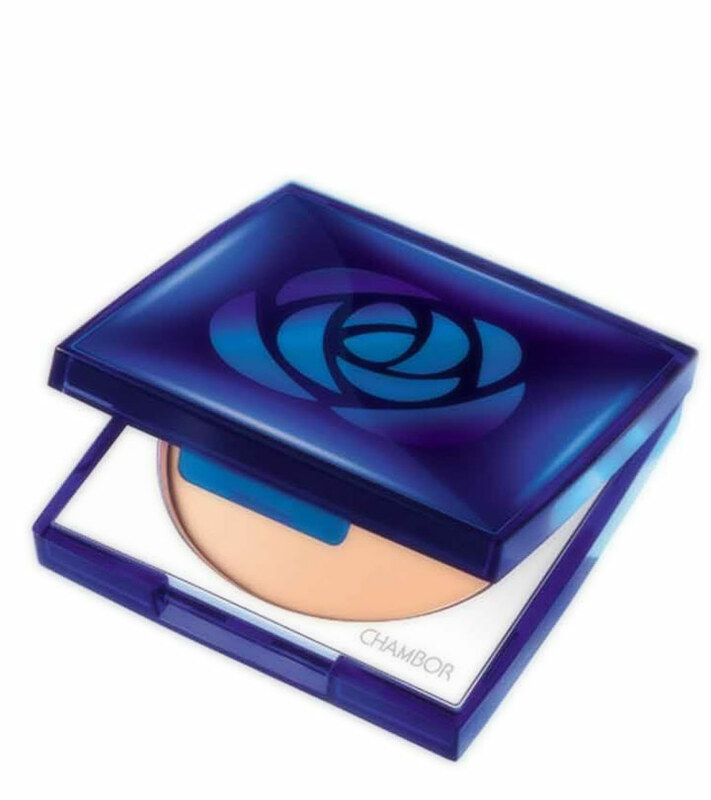 It is a loose, fine powder which can help you create a dramatic look for your eyes. 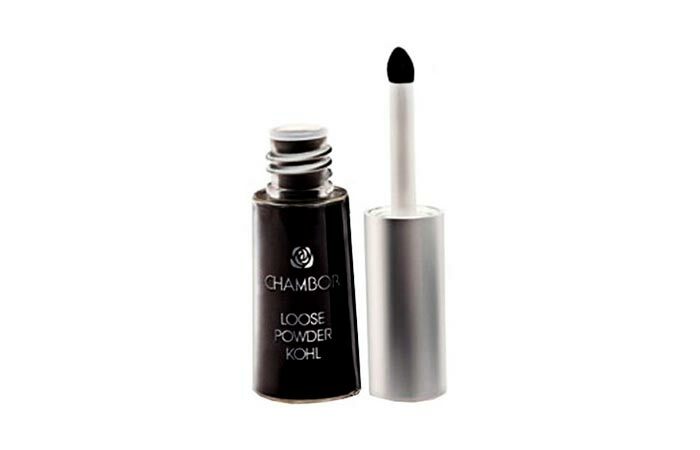 This is an intense black charcoal color that comes in a very small container and has a sponge tip applicator. It can be used as eyeliner and eye shadow, is water resistant and contains Vitamins – E & A. It is available in 2 shades – Black and Blue. This is formulated with “dual action” to nourish, hydrate lips and prevent dryness. This makes your lips soft, smooth and gives a radiant finish. It has a glossy texture with long lasting staying power. It comes in a silver plastic tube with a creamy, smooth texture which makes it easy to apply. The lasting power is 4-5 hours with good coverage, without staining or bleeding. This helps to gives your lips the perfect defined shape without smudging. This has dual use – can be applied both on the lips and the eyes. It contains Vitamins – E & A and is available in 10 different hues that glide easily with superb pigmentation and are super matte. 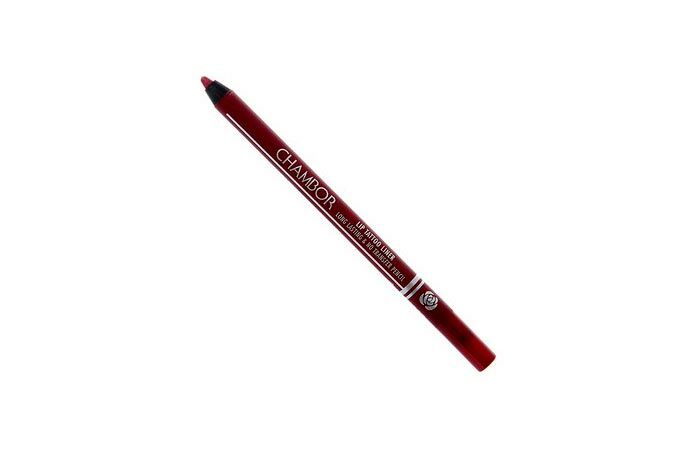 The Chambor Lip Tattoo Liner also has a very long staying power of 9 to 9.5 hours. They offer 25 exciting hues to paint your feelings and make a SPLASH. It contains nail hardener that prevents your nails from breaking easily and from turning yellow. It is a quick dry formula, chip resistant, long-lasting and clinically tested. These come in classy and attractive packaging and with a very good brush. The consistency is even with good staying power. This is the perfect everyday wear foundation that gives medium to full coverage with an ultra matte and oil-free finish. It has a thick, creamy, slippery texture that spreads easily on your skin with sheer-to-medium coverage to cover up dark spots, blemishes and under eye pigmentation. It stays long for almost 12 hours without melting on the skin. 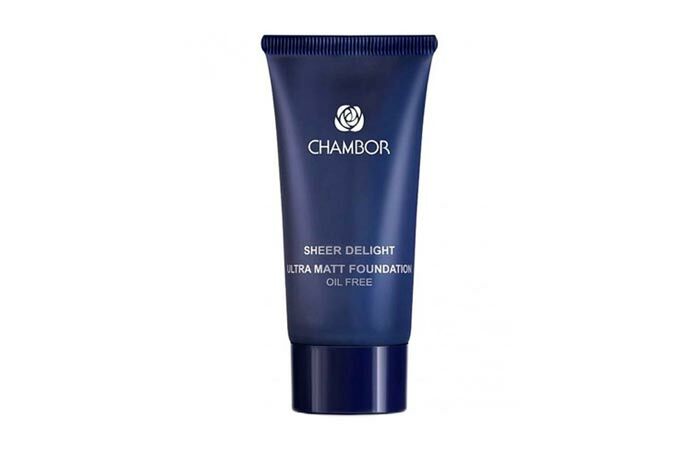 These are according to us the best chambor products in India. Do you own any of these products from Chambor? Shoot us a comment. Stay gorgeous!